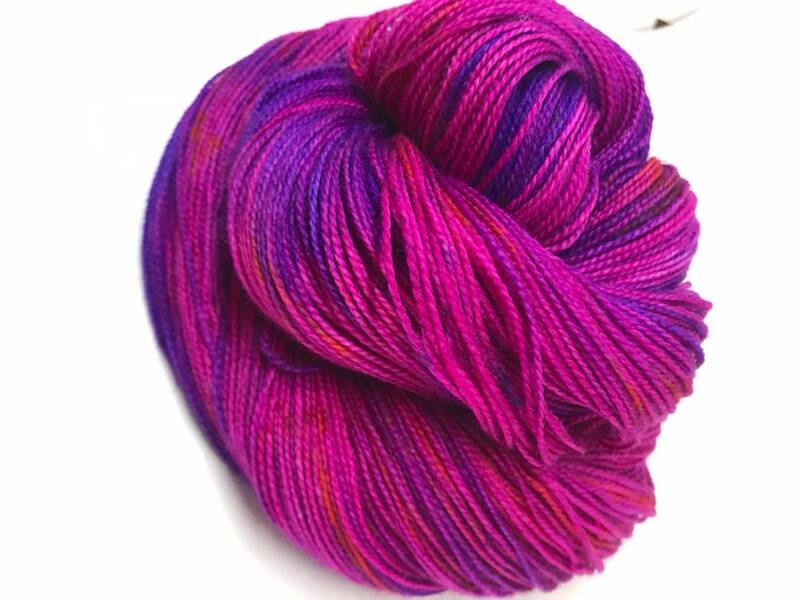 This is Superwash Merino / Nylon Blend Sock Weight yarn. 75/25 high twist. 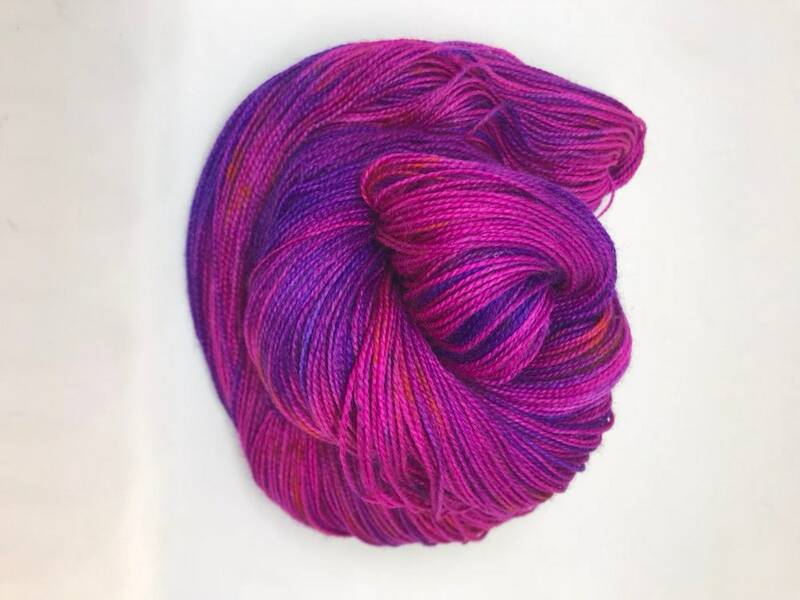 These particular skeins have bright pink variegated tones with a splash of navy speckles through them.